Registration & Morning Refreshments 8.00 a.m. Truly a global platform where we bringing to London, Middle Eastern investors and practitioners in the Real Estate arena to create, develop collaborations, joint ventures, partnerships and most importantly raise funding. For this grand occasion, International Consultants are giving complimentary free access to the event, to a limited amount of participants. Set against a backdrop of billions of dollars of investment in global real estate markets emanating from the GCC and Muslim jurisdictions, UK Government initiatives, both labour and conservative, on Islamic Finance, over the past 30 plus years have provided added momentum to Islamic Finance transactions, especially in the UK real estate sector. Britain now boasts some twenty institutions offering Islamic finance service including five fully sharia-compliant banks. In support of these interesting developments which have seen Islamic financial services grow from strength to strength in the UK. The British Conservative Government, under the stewardship of David Cameron, in 2014, backed the rhetoric with action resulting in British debut sovereign £200 billion Sukuk issuance in June 2014 which was underpinned by government real estate assets and was oversubscribed ten times. At the same time, Boris Johnson as Mayor of London very successfully continued to enhance the City’s role as one of the world’s foremost financial jurisdictions as well as being one of the world’s most desirable cities to live, work and own property in. These factors also played a significant role in reinforcing London’s position as one of the leading global Islamic Finance centres. A position also founded on the abundance of expertise in structuring shariah-compliant transactions, particularly real estate, which over the years have flourished in London. These attributes, almost in unison with the UK debut sovereign Sukuk issuance, came together to both attract and facilitate the £1.35 billion financing of the Battersea Power Station, one of the largest real estate financings in the UK in recent years. Given the above, there is little doubt that real estate as an asset class has become more important since the financial crisis. Set against the current backdrop of the transformation of Gulf economies and markets, in many ways, in response to three years of low oil prices, new regional leadership and global world order in flux. The tougher fiscal environment and a renewed drive to implement diversification are reshaping the region’s investment landscape resulting In GCC investors and investors from other Muslim jurisdictions, increasingly looking towards more mature markets that can withstand the fluctuating price of oil, while also offering institutional grade products. Hence, the UK real estate market is still at the forefront of the minds of Middle Eastern investors, despite the recent slowdown in London prime and concerns over, amongst other things, the implications and impact of Brexit, with much being written about the negative impact of Brexit on the UK property investment market. GDP growth in the UK has slowed in 2017 after an unexpected “Brexit bounce” last year. Journalists cite rising inflation and decreased consumer spending coupled with the business community’s nervousness about what the post-Brexit world will look like as reasons to fear falling rents and a slowdown in the investment market. However, actions speak louder than words. On 1 October 2017 Royal London Asset Management announced the largest ever UK real estate fund at launch, seeded with assets worth over £2.7billion. Piers Hillier, Chief Investment Officer at RLAM said: “This fund launch is a vote of confidence in the UK and its real estate market’. This confidence in the UK real estate market is further evidenced by the fact that the UK is still considered one of the top overseas property investment destinations for over three-quarters of the investors surveyed in the GCC. These findings come from Select Property Group’s GCC Investor Report- 2018. Compiling the results of a survey conducted by YouGov, the report analysed the current investment attitudes and trends among buyers in the region. Across all six countries, most investors surveyed agreed that the UK is one of the world’s preferred property markets. At 86%, investors in Bahrain account for the highest proportion by country that agreed on the strength of UK property; Indeed, all Bahraini nationals questioned agreed on the UK’s qualities. They were followed by 79% of both UAE-based and Saudi Arabia-based investors who regard the UK as one of the world’s strongest overseas property investments. This slowdown, in London prime, has been mainly due to changes in tax legislation, especially with regard to stamp duty and annual tax on enveloped dwellings (ATED), and have all contributed to investment moving to other areas of the UK. 90 North, in 2017, for instance, acquired a 187-unit student accommodation development in Royal Leamington Spa. In the same year on behalf of a Qatari institution, Rosette Merchant Bank acquired a portfolio of five M&S stores across the UK on behalf of a Qatari instruction, other acquisitions by the Bank included purchasing a Debenhams store in Swansea, Wales for £15 million. Sheffield also witnessed a major structured Islamic financing property deal by Greenridge Investment Management which included a £35 million purchase of a mixed-use property primarily let to the Secretary of State for Transport and local government bodies. Build to rent is also a sector attracting increasing interest from the Middle East. Trowers & Hamlin’s advised Apache Capital Partners, a real estate investment management firm based in London and Bahrain, using a combination of conventional and Shariah-compliant financing of a £215m site in Fountainbridge, Edinburgh city centre, comprising land with the potential for over 500 builds to rent units. New Destinations Emerging Markets These and other key factors affecting global real estate markets, also exploring the abundance of opportunities in hitherto little explored destinations emerging markets, such as Sri Lanka, identifying the best opportunities residing in such locations through a special regional focus panel discussion which will be specifically highlight the role and opportunities in these markets for Islamic and Shariah-compliant investment will be explored at the IREF Summit. 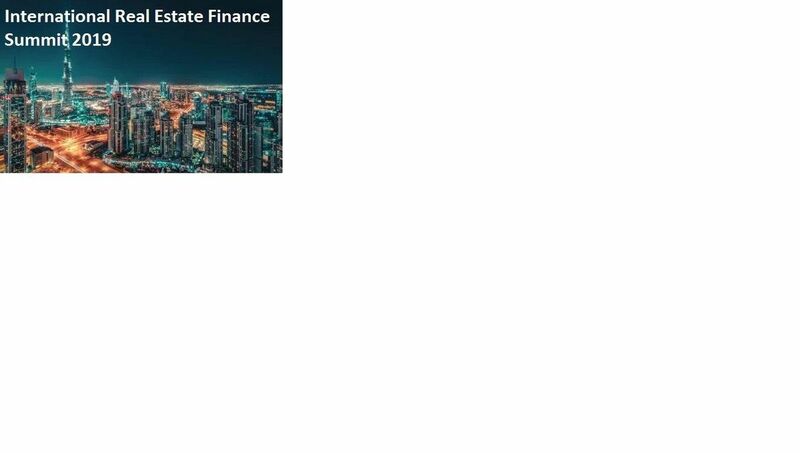 Why not find out about the Islamic financial services ability to direct the vast liquidity emanating from Islamic jurisdictions into opportunities not just in the UK but real estate markets the world over.